With so many voices streaming at us through our televisions and computers, a person can’t be blamed for tuning out. By listening to Jeremy Grantham, Jim Grant and a host of other investors, a person could have avoided and profited the crashing of the tech bubble of the late ’90s. By listening to Kyle Bass, Michael Burry and Prem Watsa, an investor could have avoided and even profited from the crashing of the housing bubble in 2008. Today is another time when we all need to be paying attention. 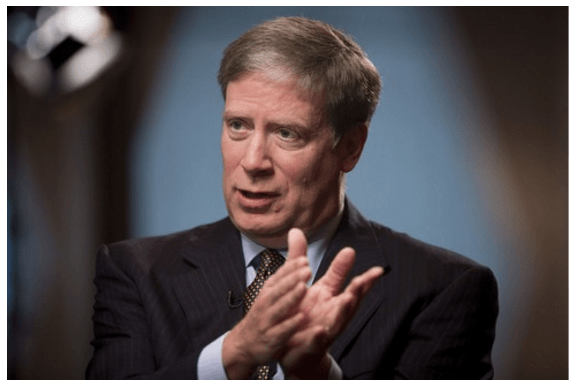 This time, the man we need to be listening to is Stan Druckenmiller. For 25 years as a hedge fund manager, Druckenmiller compounded money at an annualized rate of return of 30%. Incredibly, he did it without a single down year. Druckenmiller has a dire warning for all of us. One that requires action. There is nothing for Druckenmiller to gain from providing this warning. He isn’t talking his book or trying to gain investor support — he isn’t promoting anything. He doesn’t even have a political agenda. He is spending his own time and money to try to bring this issue to light because he believes it is crucial for the United States. Druckenmiller simply believes that America is heading for a disaster, and he is trying to use his high-profile position to get people motivated to stop it. What you need to know about Stan Druckenmiller is that his incredible investing performance was rooted in his skills in making macroeconomic forecasts. How did we do it? Very simple. While others were focusing on the present, we looked and focused on the future in terms of analyzing unsustainable situations. And when I look at the current picture of expected tax revenues combined with benefits promised to future generations, this is the most unsustainable situation I have seen ever in my career. The disaster that Druckenmiller sees coming for the United States is all about changing demographics and entitlement spending. They don’t add up to a sustainable situation. 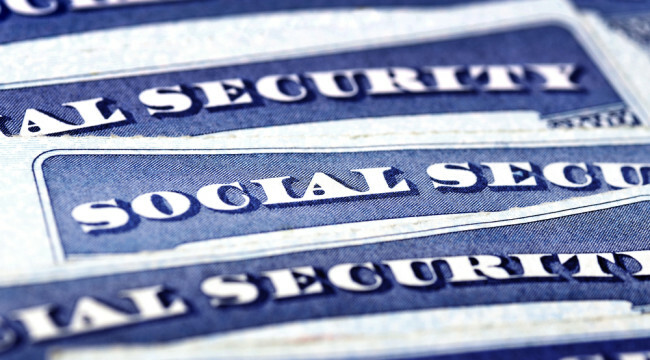 In 1940, entitlement payments, which include everything from disability payments to Social Security to Medicare, amounted to just over 20% of annual government spending in the United States. Things are about to get a whole lot more complicated. The 20-year baby boom that took place after World War II is now beginning to result in a retiree boom. For context, Druckenmiller points out that in 2030, the average age of an American citizen will be older than the average age of a resident of Florida today. 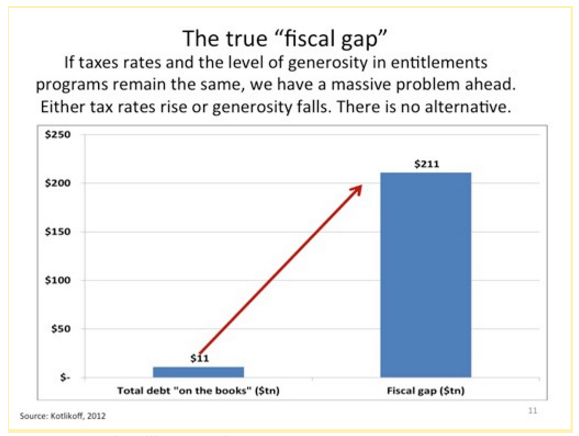 This demographic trend is going to create an entitlement spending catastrophe. The way the system works, the current workforce provides the tax revenue to support the current senior population. A huge rise in the retiree population relative to the number of people working results in a funding dilemma. Since 1980, the number of working-age people the country has had has outnumbered those age 65 and over by a count of 5-to 1. The country has had enough workers generating tax revenue to support the number of retirees. By 2030, that ratio is going to drop to 2.5-to-1. By 2029, there will be 11,000 new seniors arriving every day and only 2,000 new adults being added to the workforce to pay for them. There is just no way that the workforce at that time is going to be able to fund the entitlements of these seniors. This is a problem because those are commitments that have been made and will have to be paid. Corporations are required to disclose on their balance sheet the future defined pension obligations that their employees have earned. Those are very real liabilities for companies that are going to have to be paid, so they should be included. The balance sheet of the United States, meanwhile, doesn’t account for the future payments that it has promised to its senior citizens. Again, like defined benefit pension payments, these are very real obligations. They should be recorded as liabilities of the United States. That chart makes the size of the problem abundantly clear. There are a lot of people already very concerned with the amount of debt the United States has. Imagine how they would feel if they were aware that with these liabilities conclude the number is 20 times larger. This is a case of simple math. Either tax rates increase in a massive way or the payments to seniors have to be cut significantly. The status quo doesn’t work. There just isn’t going to be anywhere close to enough money coming in to fund the payments going out. The country can’t borrow its way out of a funding issue of this size. This issue that Druckenmiller is so passionate about is a huge problem. One with no possible solution that will be popular with the American voters. Either higher taxes or lower benefits. Likely some combination of both. Both very unattractive options for big percentages of the voter base. You can hear the politicians kicking this can further down the road, can’t you? Fixing this is going to require some real sacrifice by the American people. That doesn’t sound like a very appealing platform upon which to get re-elected. The finances of the entire world are run by short-term thinkers. Central bankers have been dead set on trying to inflate economies for a decade now using more and more aggressive easy-money policies. To try to make the short term a little better, these central bankers have been perfectly willing to roll the dice on the long term. The issue that Druckenmiller has raised will have to be dealt with. I’m sure it will be dealt with far later than it should be as politicians do kick that can down the road. By doing that, they are only going to make the corrective actions that the country has to take more severe. It is crucial that all of us realize that our long-term financial well-being really needs to be taken care of by one person. That one person is the man or woman you look at in the mirror in the morning when you are brushing your teeth. We have to make sure we protect our wealth diligently and invest in assets that will retain their value when the consequences of all of this short-term thinking arrive.